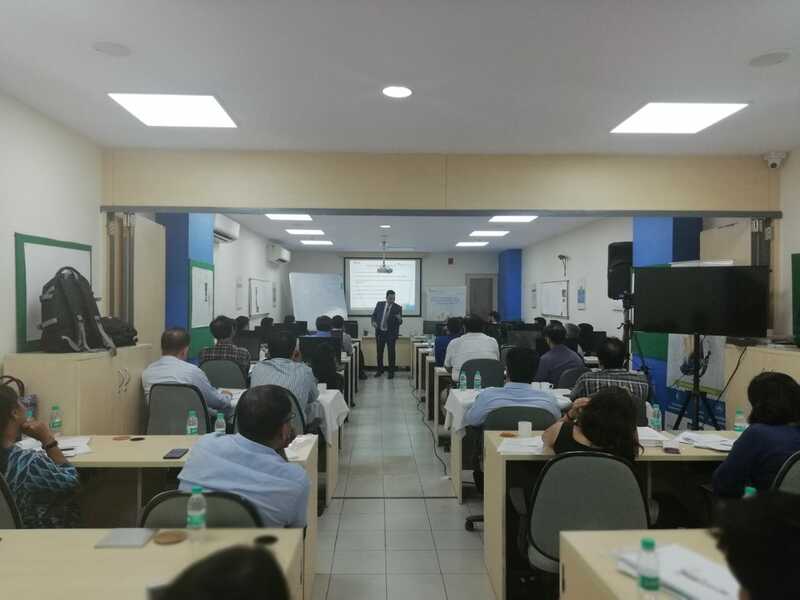 Our very first interactive session was conducted by Mr. Mahesh Khalap from JLL group as a part of REMI’s “Executive Program: De-coding the DCPR 2034” that conducted on the 26th June 2018. 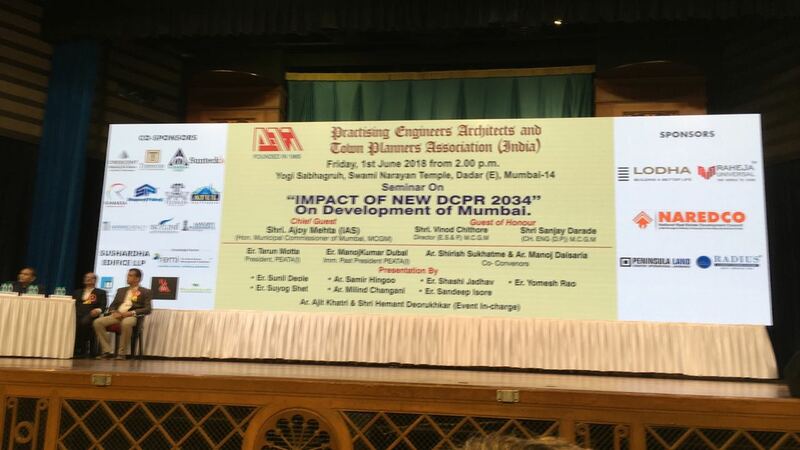 This session attracted people from various arenas of the Real Estate Industry to include Architects, Vastu Experts, Developers, Chartered Accountants and other professionals from Mumbai’s top Real Estate brand names. The programme is nothing short of an extensive and affective learning plan which is not only focuses on the intricate details of “the DCPR and its impact on the Real Estate Sector”, but also goes back to setting a foundation by clarifying the basics of a Development Plan. What was more interesting about this session is the fact that there were so many live examples used that it actually got the brain cells of all participants tricking. This led to enriching discussions on various topics such as why “DCR” transitioned to the “DCPR”, how the much awaited DCPR will benefit us by promoting Affordable Housing, how this will act as a boon to the development potential of our country. Some interesting factors such as the population estimate, the changing socio-economic dynamics of the Island city and the role of infrastructure development were keenly debated. To sum it up, this entire session was an active learning forum to ask questions and discuss the open market potentials that can be encompassed by understanding the concepts of DCPR. The Real Estate Management Institute- REMI, is a leading educational institute in India that provides programs specially designed for the real estate industry. REMI was established in September 2015, with a vision to ‘Skill India to Build India’ to contribute to industry development through training programs and to facilitate individual careers, as well as enhance leadership for existing real estate professionals. REMI currently provides certification programs, executive courses and customized training workshops specially designed for the real estate industry. Our programs are run using the Socratic style of teaching, as we offer world-class best practices and a global curriculum to enable new entrants, early-stage professionals, entrepreneurs and leaders adapt to the evolving regulatory regime. Experts and offers 100% Internship and Placement through a dedicated Career Development centre (CDC). We are constantly exploring new dimensions and partnerships to help us stay ahead. Some of our partnerships include a collaboration with The Institute of Real Estate Management (IREM), USA, The Project Management Institute (PMI)-Mumbai, Ganpat University in Ahmedabad, CREDAI – MCHI, Practicing Engineers, Architects and Town Planners Association (PEATA), Habitat for Humanity, among others. Our flagship Certifications in Business Management and Housing Finance (BMF 201), theBroker Certification Program (BCP 201), the Owner Developer Program (ODP) are just the tip of the iceberg. Our ability to curate industry-relevant programs with experts and thought leaders is our specialty. We currently offer 30+ programs for real estate.